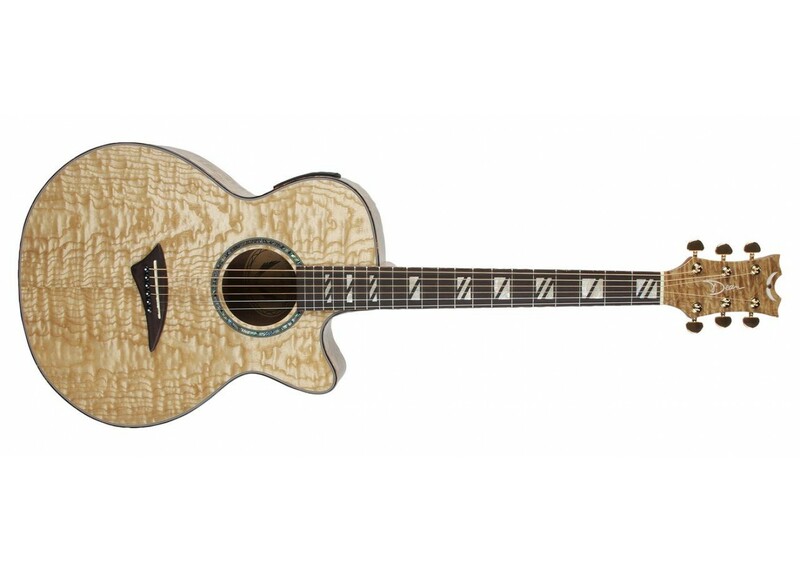 The Dean Performer Quilt Ash Acoustic-Electric Guitar is crafted with beautifully quilted ash top, back, and sides, mahogany neck, and a bound 22-fret rosewood fingerboard. You will be heard in any venue with the Dean guitar's under-the-saddle piezo pickup and Dean DMT I2NR preamp with tuner that's been enhanced with the addition of Aphex electronics. The Aphex Aural Exciter technology enhances the Exotica's already-full tone by revealing its natural brightness, clarity, and resonance With Aphex, Dean Exoticas are the most massive sounding acoustics available. 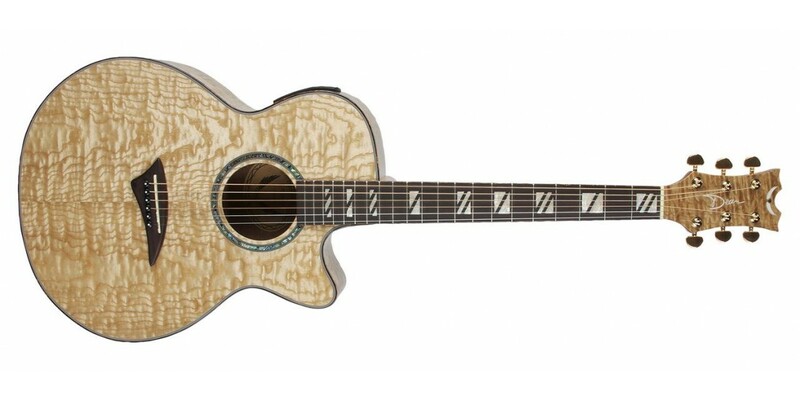 Other Performer guitar amenities include gold tuners, an abalone rosette, and a gloss finish.